Thanks so much for subscribing to my blog. It really means a lot to me. 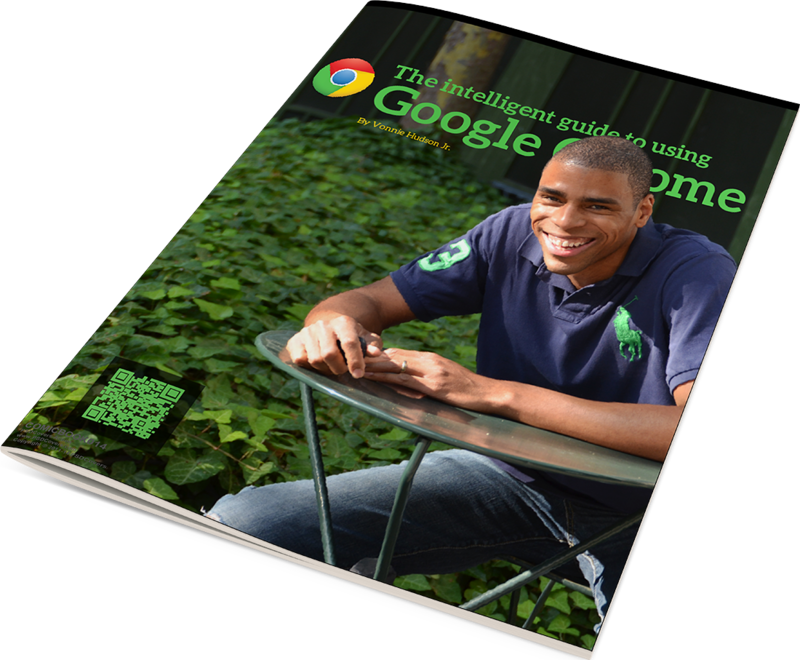 Please download The Intelligent Guide to Using Google Chrome by Vonnie Hudson Jr. by right clicking the link and choose “Save as”. Learn how to speed up Chrome, stay private online, maximize your mobile experience and more. Find tons of concise Pro-tips scattered throughout the guide; see if you can find them all! You can give this guide to anyone you like. (including people who haven’t subscribed) and please email me directly telling me what you think. I actually check my email daily at that address so feel free to drop me a note. So here’s the deal: I want to get to know you so I can send you more cool stuff like this eBook. So over the next few weeks, I’ll send you weekly emails with my latest tips and tricks. Sometimes I’ll highlight content from my blog; other times I’ll send you exclusive tech stuff that I don’t post to my site. In any case, only the people who have joined my team will get these bonus goodies. I’ll never send you spam – so don’t worry about that. I hate spam about as much as I hate cold chicken. It won’t happen. I’ve been doing this since November 2014 and thousands are already benefiting from the stuff I send. I don’t want you to miss out. As always, you can always unsubscribe from the list at anytime (I don’t bury the unsubscribe link like some sites because that sort of thing really annoys me) but I hope you stay. P.S., And seriously, send me an email (vonnie@fixedbyvonnie.com) and let me know what you think of the eBook. I took about a month creating it (due to procrastination) so I want to hear from you.